Will you have a “digital wallet” in your future? Will it become a vital interface between you and practically everyone you deal with while traveling? Lots of folks are betting yes. Broadly, the idea is to exchange old-fashioned paper and plastic for a master digital wireless system that can be used for all the transactions you now perform using the contents of your wallet or purse. You’ve already seen elements of the digital wallet in use when you travel. Travelers download their e-tickets to a smart device, and airlines can scan and accept the visual display in lieu of a paper boarding pass. Commuters use digital tickets to pay for subway rides as well. The question remains: Will you be able to leave your wallet behind and go all digital? Here’s a primer on what you can expect from digital transactions when you travel now and in the coming years. Obviously, you'll need a device of some sort to use in place of the traditional plastic and paper contents of your wallet. 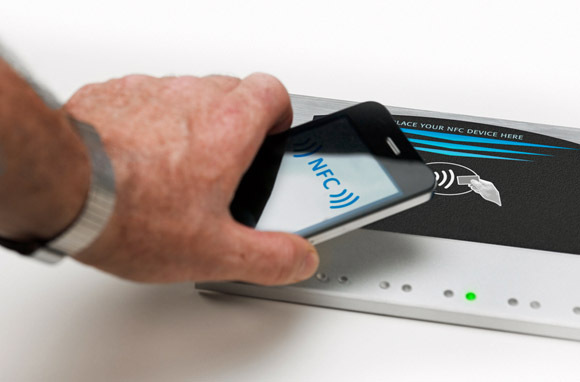 The three technologies required for a full-featured digital-wallet device are (1) a smartphone or tablet, (2) online access, and (3) near-field communication, or NFC, which allows a smart device to collect data from an enabled "tag" by "tapping" it. The first two are already available in all but the "dumbest" earlier wireless-phone generations; they're also available in almost all tablets and similar portable-computer mutations. Near-field communication—by very weak radio signals—is not as far along, but it will quickly become more widely available in new smartphones and tablets. Digital-wallet technology is a two-way street: Suppliers have to have the same technologies as consumer devices in order to interact. So far, quite a few airlines, hotels, car-rental companies, and such have the capability to read and interact with visual displays, and quite a few general retailers are moving toward mobile-payment capability. The overall concept is that you enter the required information you need to make purchases and to travel into a secure, encrypted database that is accessed for each transaction. Long-term personal and financial information is recalled without your having to re-enter the same old stuff each time. Instead of currency, you pay by direct debit to your bank account; instead of a plastic credit card, your card information is automatically transferred to a seller and the transaction is charged to your credit-card account. Your personal database stores some of the permanent information; sellers' databases store some other parts. The exact balance between user- and supplier-stored data isn't yet clear and is subject to change and evolution. You complete some transactions over the Internet and wireless networks, others by just tapping your device to an NFC tag. So far, digital wallet use remains isolated and is not fully integrated, though there is progress. Apple is pitching its newly released Passbook app, a one-stop location to store all of your tickets, membership cards, and even flight data, and a few businesses—notably American Express—have jumped onboard, but adoption has a long way to go. On the hardware side, a few new-generation smartphones—most notably some highly touted Samsung Galaxy and Motorola Razr phones—already have NFC capability, but Apple isn't there yet. A few big retailers—notably Target—are deploying the capability chain-wide, as are some large transit systems, but you donât see it yet among many airlines, hotels, car rental agencies, and travel agencies. The big wireless-phone and smart-device companies are eagerly pushing for hardware developments and more NFC-enabled products: Increased demand for these products would be a win-win situation for them. So far, digital-wallet software development has focused on systems that enable existing players, like a select number of airlines, hotel chains, banks, and credit-card network operators, to apply the technology to their existing business models. But travel suppliers—especially airlines—are trying to cut traditional credit-card processing out of the loop entirely to avoid what they regard as excessive transaction fees. New potentially lower-cost payment systems, such as PayPal, may see an opening. The hardware and systems suppliers claim that encrypted personal data required for the digital wallet—and use of the data—are safer from fraud than current paper-and-plastic systems. Transactions are protected by passwords and in some cases by thumbprint verification. But the concept is far too young to allow a firm conclusion. Although many consumers appreciate the convenience of digital wallets, some are concerned about security. They're also unhappy that suppliers will have access to personal information beyond what is needed to process any given transaction. And, long term, consumers—especially travelers—are heavily invested in the special benefits available through credit cards and not through other payment systems. Among them: no-charge rental-car collision coverage, frequent-flyer mileage earnings, the protection of federal requirements for chargebacks, minor travel "insurance" coverage, extended warranties on some purchases, and the ability to pay off a big bill over time. Despite some existing uses, you won't be able to discard your old wallets and stash your plastic in drawers quite yet. From a hardware standpoint, near-field capability is just now starting to migrate to mobile devices, and lots of suppliers don't even have the older capability to input scanned images of e-tickets and e-vouchers. Also, on the paper/plastic side, travelers still need to carry conventional drivers' licenses, Medicare cards (useful for senior transit discounts), and lots of other official documents. And you may have to wait several years until all those cozy inns, auberges, and B&Bs so many of you enjoy while touring the U.S. or European countryside will be able to take your digital-wallet payments, to say nothing about gas stations and convenience stores. Future growth will be evolutionary, not revolutionary. But it's coming—at least for those travelers who embrace new technologies. If you're a technophobe or even just really cautious, however, you'll be able to use your old-fashioned paper-and-plastic wallet for a long time to come. And even if you're a geek, you probably won't be able to travel totally paper- and card- less for quite a while.